If you are unable to view the video, try watching it on Facebook. Listen to Eve's appearance on the Ask the Expert podcast. Like our page on Facebook and get the latest updates from Eve in your Facebook news feed! 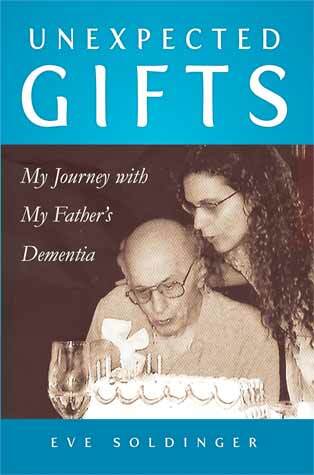 Unexpected Gifts is a powerful gift to anyone caring for a family member. While most books about dementia and caregiving focus on losses, Eve instead captures with beautiful clarity and gentle but keen observations the blessings of this remarkable experience. My commitment is to support a person to be whole and healthy, at every stage of life. I seek to honor the deep and sacred understanding of how every moment is a potential transformation to be present, and open to life, and to the vastness of the heart.